Morten Anderson is the NFL's all-time leading scorer. Morten Andersen, nicknamed “The Great Dane”, is a former National Football League kicker and All-American at Michigan State University. Anderson is the all-time leader in games played in the NFL at 382. In addition he also holds the distinction of being the all-time leading scorer in NFL history, as well as being the all-time leading scorer for two different rival teams; the New Orleans Saints, with whom he spent 13 seasons, and the Atlanta Falcons, with whom he spent a combined eight seasons. 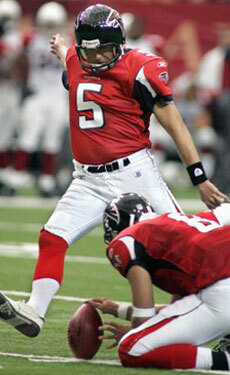 On December 16, 2006, Andersen passed Gary Anderson to become the all-time leading scorer in NFL history. The following weekend, December 24, 2006, Andersen again passed Anderson to become the NFL’s career leader in field goals made. On November 6, 2009, Andersen was inducted into the New Orleans Saints Hall of Fame. Bobby Walden led the NFL in punting in 1964 with a 46.4 yard average. Robert Earl Walden (born March 9, 1938) was a punter with a 17-year career in professional football, 14 of which were played in the National Football League from 1964 to 1977. Previously, Walden had played 3 years in the Canadian Football League from 1961-1963. Walden was a part of the Pittsburgh Steelers’ Super Bowl IX and Super Bowl X winning teams. 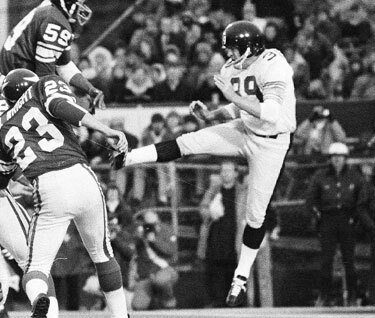 He led the NFL in punting in 1964 with a 46.4 yard average and was selected to the Pro Bowl after the 1969 season. Before his NFL career, Walden led the Canadian Football League in punting, rushing, and receiving as a member of the Edmonton Eskimos in 1961 and 1962. Walden played for the University of Georgia Bulldogs for three years, 1958-1960. In 1958, as a sophomore, he led the nation in average yards per punt. In 1960, he set an Orange Bowl record for yards per punt. 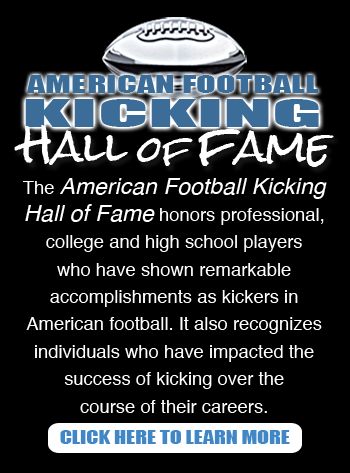 © 2019 American Football Specialists Inc.